Can you confirm these amateur observations of Holbrookia maculata? campi: Arizona; Type locality: 8 miles N.W. of Adamana, Apache County, Arizona, USA. dickersonae: Mexico (Coahuila); Type locality: Castanuelas and Alamos de Parras, Coahuila, Mexico. flavilenta: N Arizona, W New Mexico; Type locality: Lake Valley, New Mexico (SCHMIDT 1922), 32°43' N, 107°34' W [Malnate 1971: 358]. Comment Subspecies: Holbrookia maculata pulchra has been considered a synonym of H. m. thermophila by DUELLMAN (1955) and subsequent authors. The subspecies is not listed by BOUNDY et al. 2012. H. m. thermophila is closely related to the Mexican endemic H. m elegans and these two have been considered as a separate species (H. elegans) and subspecies (H. e. thermophila) fide WILGENBUSCH & DE QUEIROZ 2000 and CROTHER 2000. For a discussion of flavilenta see CMIWEB. Holbrookia maculata approximans is now considered as a valid species. Phylogenetics: Schulte & DE QUEIROZ (2008) showed that Holbrookia maculata is shown to be paraphyletic with respect to Holbrookia propinqua. Type species: Holbrookia maculata GIRARD 1851 is the type species of the genus Holbrookia GIRARD 1851. Distribution: based on the map in ROSENBLUM et al. in JONES & LOVICH 2009: 154 (which does not show any subspecies). Not listed for San Luis Potosí by Lemos-Espinal & Dixon 2013. Etymology Named after John Edwards Holbrook (1794-1871) and its spotted pattern (Latin “maculata”). See Moll (2007) for a short biography. Calisi, Rebecca M.;Sana Chintamen,Elsie Ennin,Lance Kriegsfeld, and Erica Bree Rosenblum 2017. 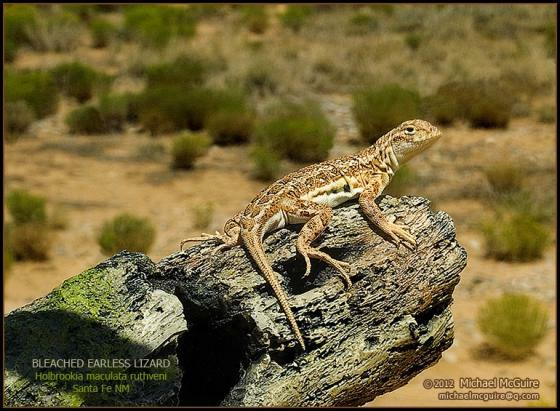 Neuroanatomical Changes Related to a Changing Environment in Lesser Earless Lizards Journal of Herpetology 51 (2):258-262. Lemos-Espinal, J.A. & Smith, H.M. 2007. 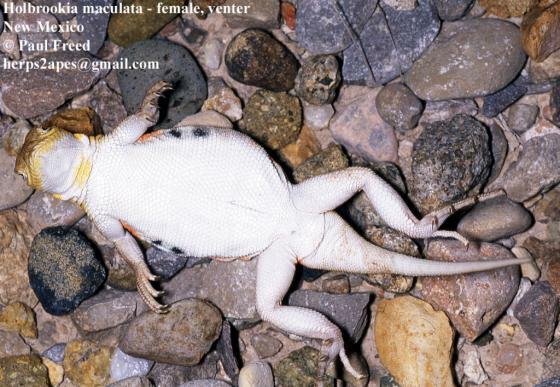 Amphibians and reptiles of the state of Chihuahua, Mexico. Universidad Nacional Autonoma de Mexico, 613 pp. Lemos-Espinal, J.A. & Smith, H.M. 2007. 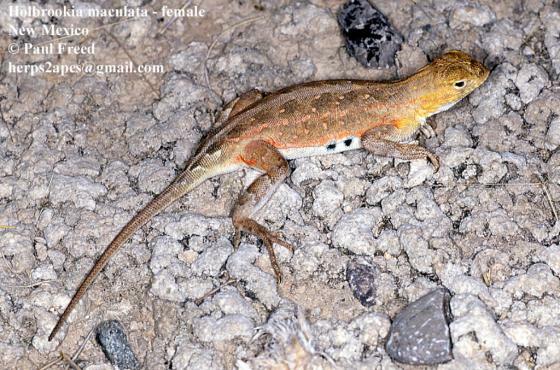 Amphibians and reptiles of the state of Coahuila, Mexico. Universidad Nacional Autonoma de Mexico, 550 pp. Vázquez Díaz, Joel;Quintero Díaz, Gustavo E. 2005. Anfibios y Reptiles de Aguascalientes [2nd ed.]. CONABIO, CIEMA, 318 pp.